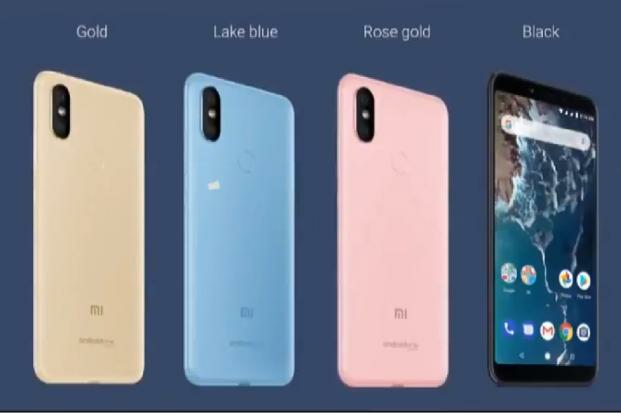 Xiaomi has launched Mi A2, its latest Android One smartphone in India. It is available in Lake Blue, Gold, Rose Gold and Black colors and is priced at Rs. 16,999 for the 4GB RAM with 64GB RAM version, and the 6GB RAM with 128GB storage version will be available soon. the smartphone will be exclusively available via online shopping partner Amazon. The smartphone will be available for pre-order from August 9th. It comes with Rs. 2200 instant cashback (in the form of vouchers) and 4.5TB additional data for Jio users. Mi A2 features 5.99-inch (2160×1080 pixels) Full HD+ 2.5D curved glass display with Corning Gorilla Glass 5 protection powered by Octa Core Snapdragon 660 14nm Mobile Platform (Quad 2.2GHz Kryo 260 + Quad 1.8GHz Kryo 260 CPUs) with Adreno 512 GPU. It comes in 4GB LPDDR4x RAM with 64GB storage and 6GB LPDDR4x RAM with 128GB storage variant. It sports 12MP rear camera with LED flash, f/1.75 aperture, Sony IMX486 sensor, 1.25μm pixel size, EIS, 20MP secondary camera with Sony IMX376 sensor with f/1.75 aperture, 4 in 1 – 2.0um pixels and 20MP front-facing camera with Sony IMX376 sensor, 4 in 1 – 2.0um pixels soft LED flash. It runs on Android 8.1 Oreo which is upgradable to Android 9.0 Pie and has 3010mAh battery with Qualcomm Quick Charge 4+.